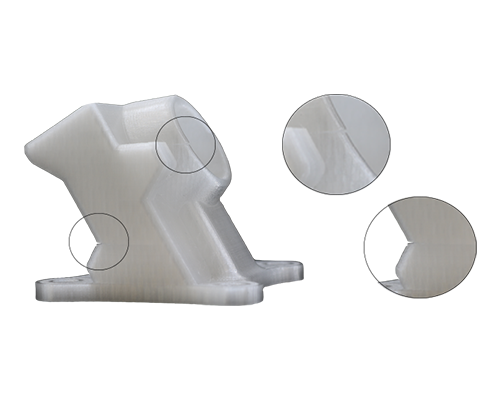 We are talking about delamination in 3D printing when there is a shrinkage higher in the product, during printing. 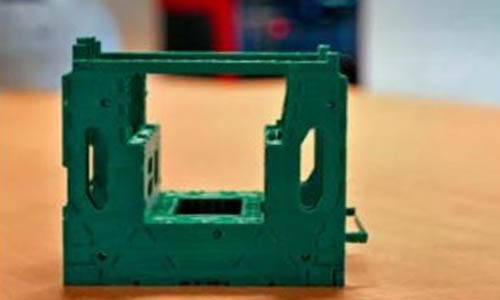 When and how fast a product shrinks depends heavily on the type of material you use while printing. 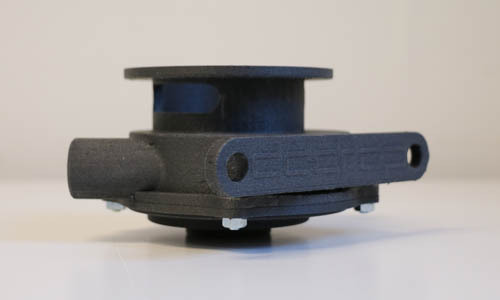 PLA and PET-G are not sensitive to this, but when you use more complex, shrink-sensitive materials such as ABS or FLEX, there is a greater risk of shrinkage and warping. For example when the materials cools too much during the printing process. Warping can occur at two locations in the model. First of all at the bottom of the product, so directly on the printbed. This is called warping and it is vert common. Various methods are developed to prevent this. Second we know delamination; two layers in the model pull away from each other and a crack is created. This is mainly due to adhesion errors. When the correct settings are used for the right material, delamination should not occur. 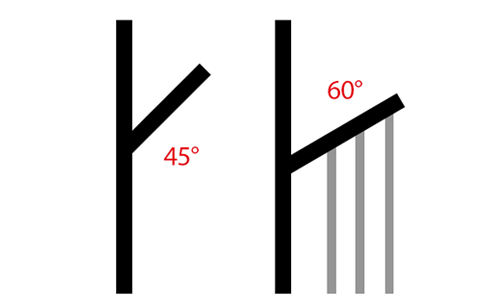 When printing with highly shrink-sensitive materials, printing under the right temperatures and room control is very important. Of course, a closed environment is essential for this. This keeps the temperature stable in the printer cabinet. But with room control, with which the dddrop Leader PRO is equipped, it is continuously checked whether the cabinet temperature is stable or whether it needs to be adjusted. Only when this is really necessary, air is supplied from the outside. The dddrop Leader PRO has therefore an conditioned space. 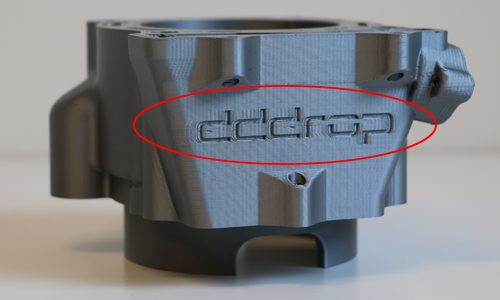 Another cause of delamination may be that the nozzle becomes clogged because it does not print with the correct settings. This may be because too much material is pushed through the nozzle too quickly, while the temperature is set too low. This creates an under extrusion. As a result, the layers are not properly constructed: too little material is deposited, causing a not optimal adhesion. In this way the chance of tearing the model increases. Delamination is an adhesion problem that we only see with very shrink-sensitive materials where the print settings are not properly adjusted. 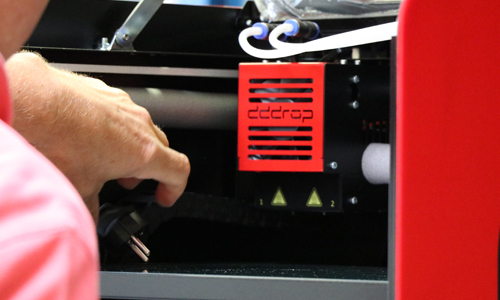 With its room control, the dddrop Leader PRO is the ideal printer for printing shrink-sensitive materials.